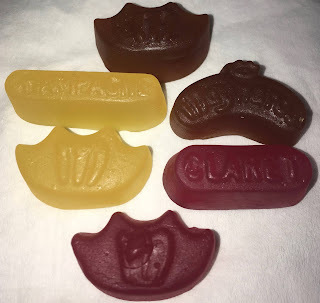 I do like fruit flavoured gummy sweets, sours or plain, I usually can't eat enough and have been known to finish whole packets in one sitting. Never you mind the sharing recommendation in fine unreadable print somewhere ignorable. These new Maynards Bassetts Wine Gums Mocktails come in three chewy flavours. The pink gummy Strawberry Daiquiri flavour are a sweet strawberry flavour, but I had to look a little bit for the lime. 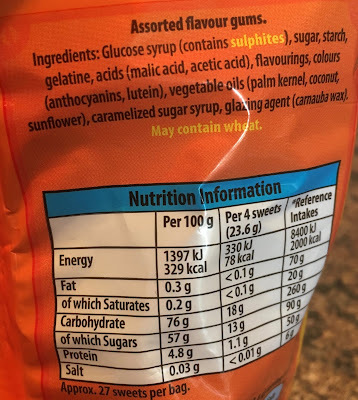 The yellow gummy Pina Colada flavour had a predominately pineapple flavour, with a slightly creamy aftertaste of coconut. The brown gummy Cuba Libra flavour had a sweet cola flavour mixed with a strong lime tang. 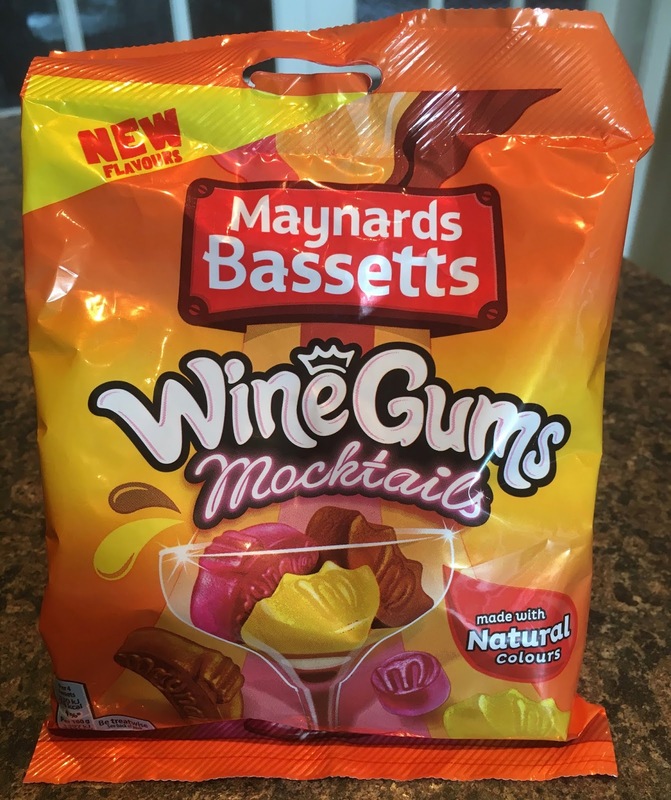 I thought these Maynards Bassetts Wine Gums Mocktails were a squishy melt in the mouth treat, and a rather innovative summer concept. As far as I recall there haven't seen any novelty Wine Gums before, asides sour or tangy editions. So these Maynards Bassetts Wine Gums Mocktails are a step away from the norm. Good for them, I say, the packet didn't last long and there wasn't much in the way of sharing either. I'll look forward to some winter mocktails to warm my cockles! 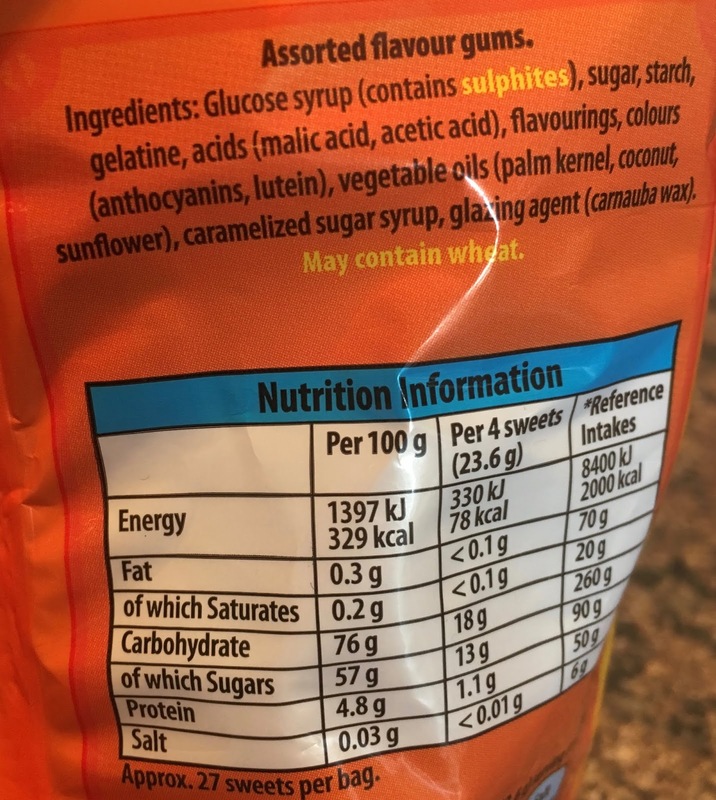 In the 165g packet there are 78 calories per four sweets, with less than 0.1g of fat, 13g of sugar, and less than 0.1g of sugar. Please see photograph for ingredients.